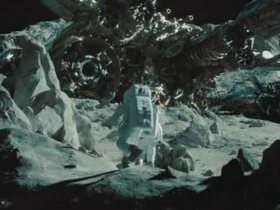 And here we have it, the first good quality Transformers 3: Dark of the Moon Trailer!! Michael Bay returns with our favourite robots for the third time and this time they will be in glorious 3D! yes we may have lost the amazing Megan Fox, however she is aptly replaced by the beautiful Rosie Huntington-Whitely. We can’t wait, but more importantly, what do you think? Is Danny McBride Set to Star in a 'Crocodile Dundee' Reboot?